Obesity and sedentary lifestyles are major contributors to chronic disease for both adults and children. In 2011, nearly two-thirds (60%) of Montana adults were overweight or obese and nearly half (45%) did not meet recommendations for aerobic activity. In that same year, over 40 percent of Montana 7th and 8th grade students and 70 percent of Montana high school students did not get the recommended 60 minutes of daily physical activity necessary for health and to reduce their risk of chronic disease. It is clear that the way we design our communities—our buildings, landscapes, streets and neighborhoods—influence the way we live and therefore can affect our health and well-being. Adopting healthy behaviors, such as physical activity, is easier if our environment is built to support us in making healthy choices. The Montana BACI program strives to support healthy living and active communities. 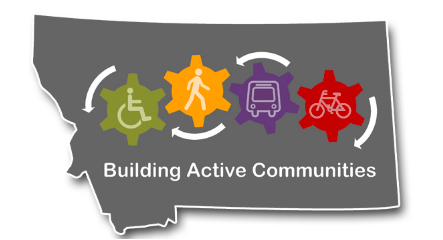 Posted in Active Living, Clinical & Community Preventive Services, Programs, Statewide and tagged active communities, Bike, Community, exercise, Healthy Living, physical activity, public transportation, Support, Walk.